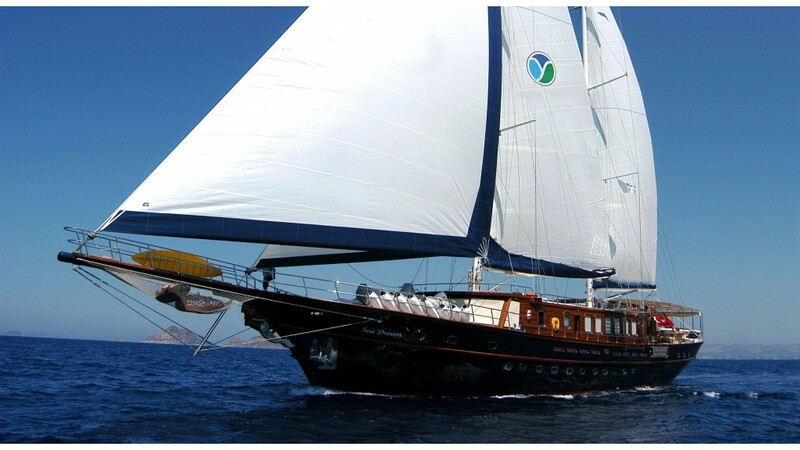 The steel-hulled gulet Sea Dream is a luxurious combination of the best of gulet styling and motor yacht space and power. 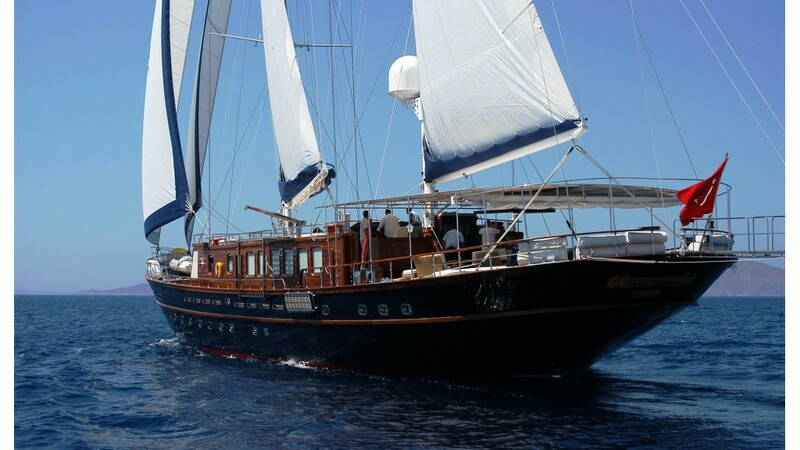 Her graceful gulet lines and the 39 meter hull afford guests copious space in the six cabins and on deck, indoors and outdoors. 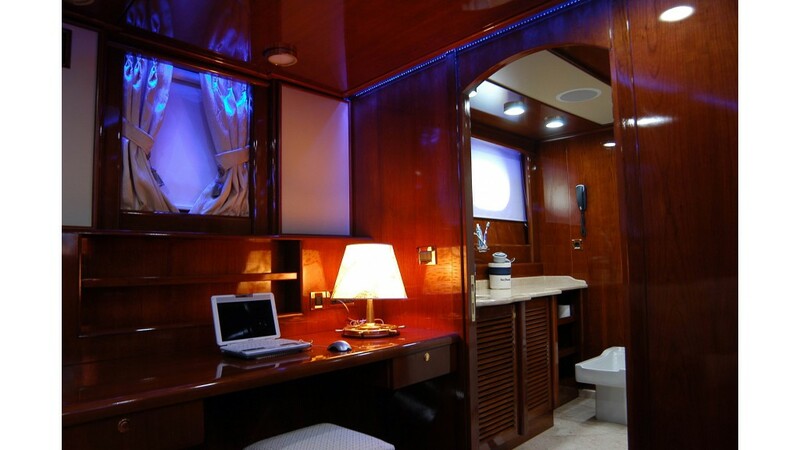 The spacious and luxurious master stateroom offers privacy located aft with its own entrance from the saloon. 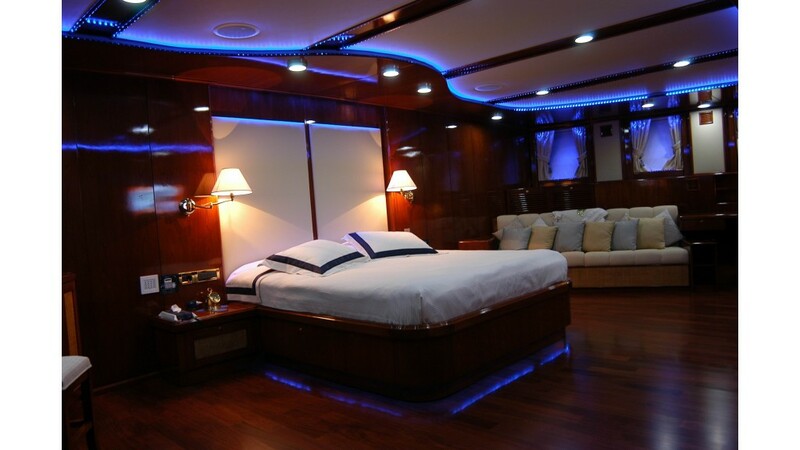 Fitted with a king –size bed, side settees with coffee table, vanity and business desks, one walk-in robe and full TV/DVD and music systems, it offers a peaceful and comfortable retreat. 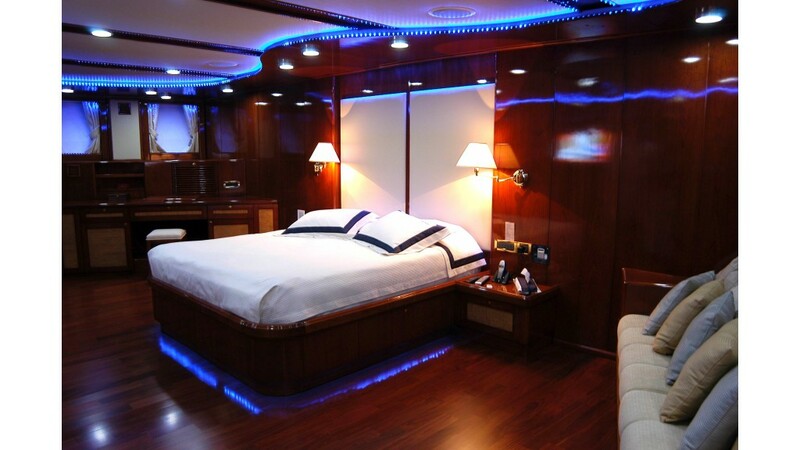 The master stateroom includes two bathrooms, one with a bathtub and WC, and one with a hydro-shower, bidet and WC. 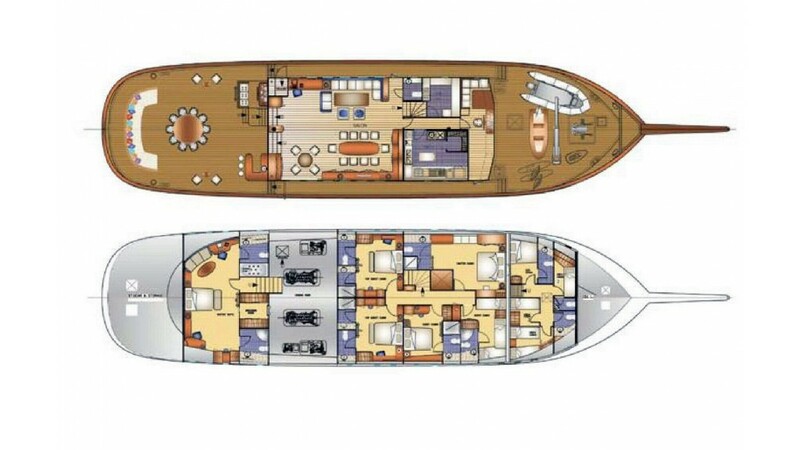 Of the other five cabins located forward and accessed from the saloon the two VIP double cabins, and two double bed cabins enjoy space for large well-appointed bathrooms, side settee and storage space and features such as TV/DVD and music systems. 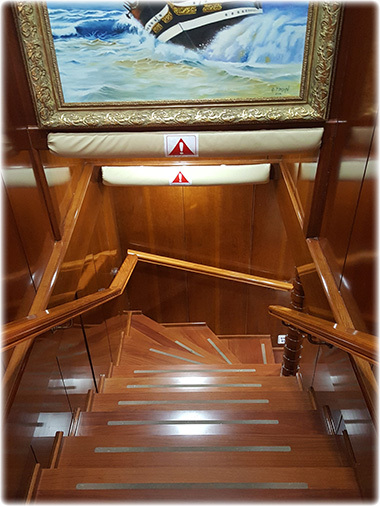 The small triple bed cabin with two single beds and a raised third single berth, ideal for children or accompanying staff also has a private bathroom. 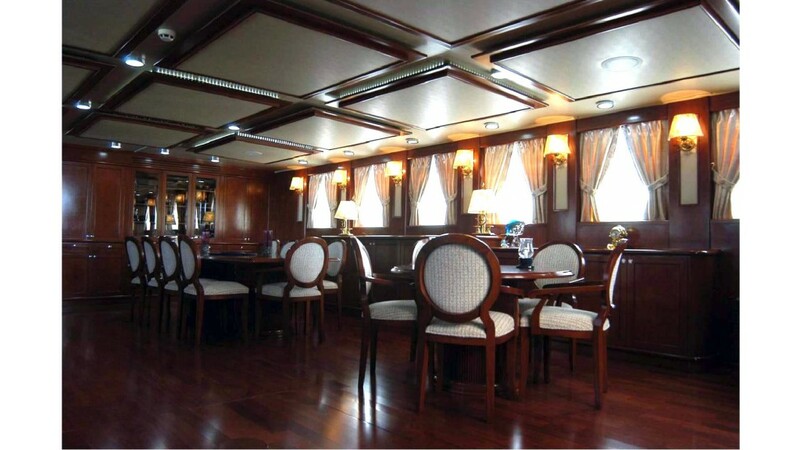 The Captain, chef, hostess and crew are provided with separate quarters. 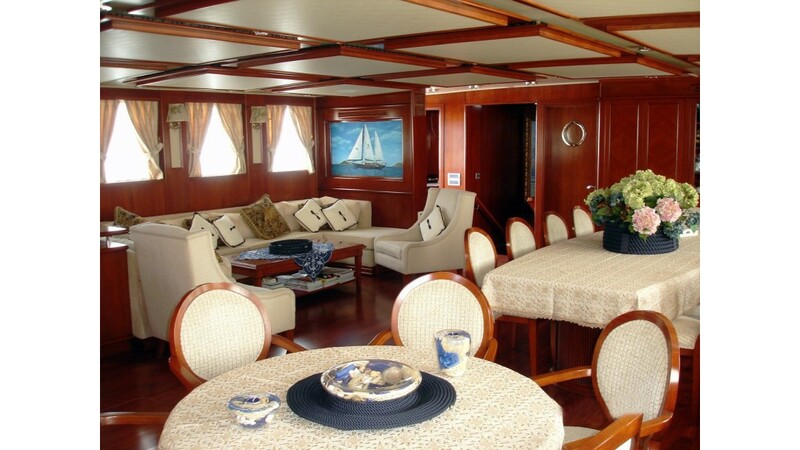 As the Sea Dream was custom-built by a shipping company, the spacious saloon and the vast aft deck are ideal for not only for relaxing but also for entertaining, functions and company events with separate dining tables, the sitting area with comfortable sofas, a business desk and a washroom which is also directly accessible from the side deck. 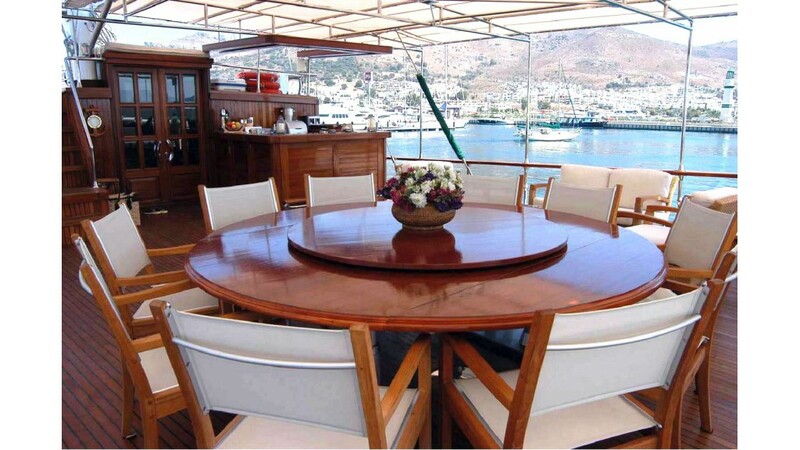 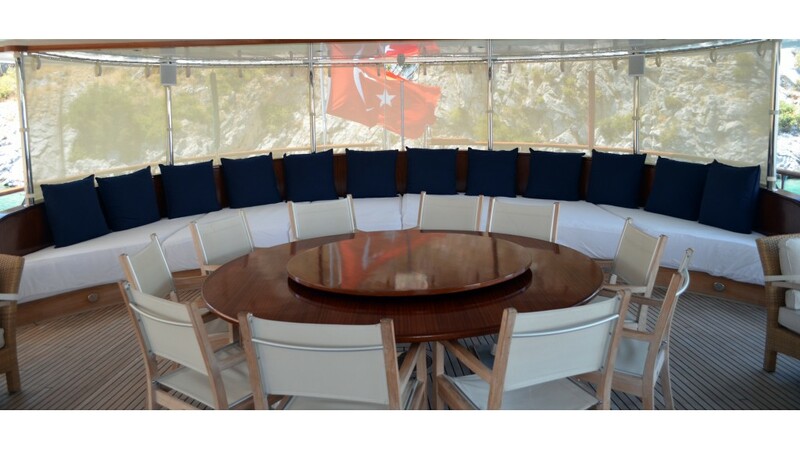 Likewise on the aft deck the large circular dining table and chairs is the center for relaxed meals for leisure, or for meetings. 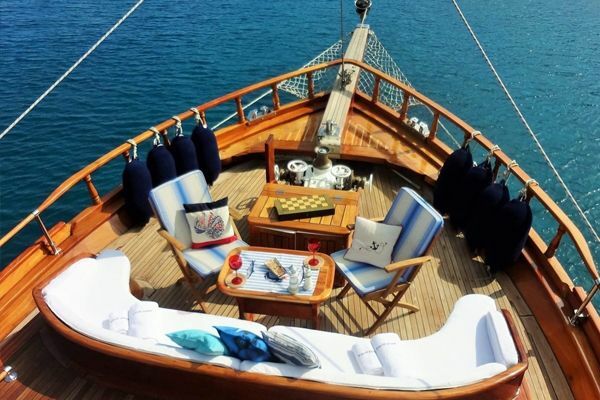 The semi-circle of cushioned seating around the curved stern is the most inviting space for relaxing in the shade, as are the side sofa and chairs around coffee tables ideal for conversations and board games. 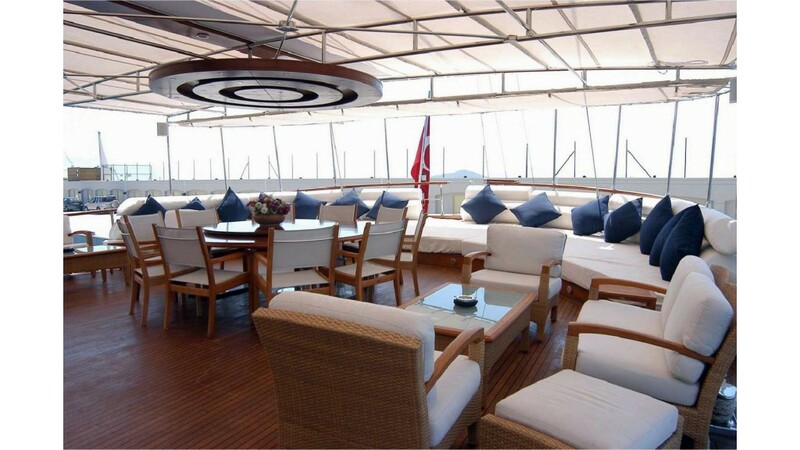 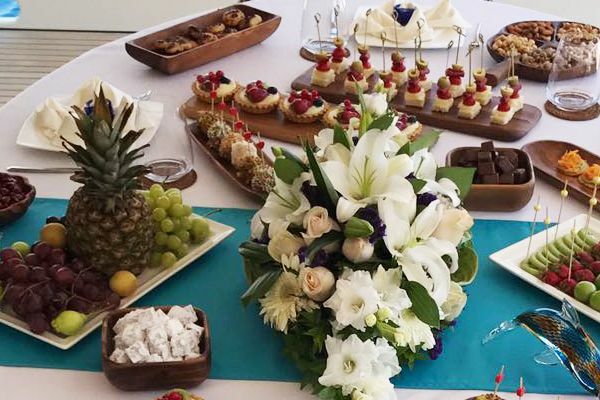 The aft deck has a full service bar to ensure swift and attentive service by the hostess and crew, while the chef creates superb meals in the state-of-the art galley. 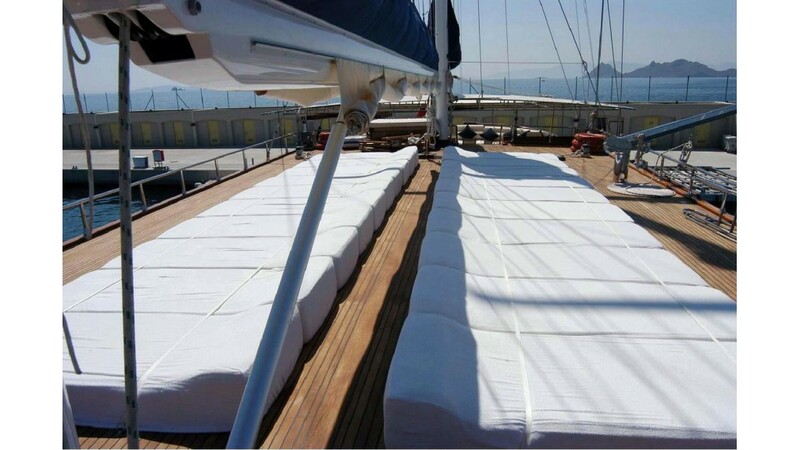 The whole of the aft deck can be shaded for privacy and from the sun by drop-down shade awnings from the fixed overhead awning. 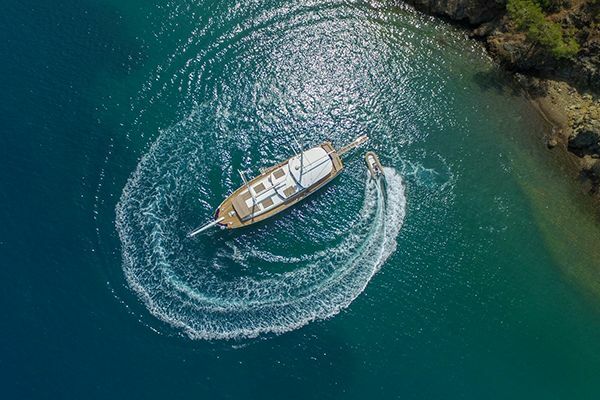 For the sun-seekers aboard, a few steps up from the aft deck takes them to the rows of personal sunbeds on the saloon rooftop, affording great views, cooling breezes and privacy. 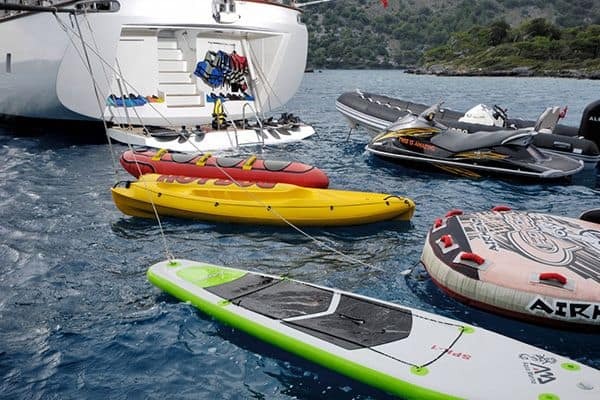 For the active guests the Sea Dream offers plenty of water sports equipment with Jet Ski available on request, as storage space and a full winch are installed at the bow. 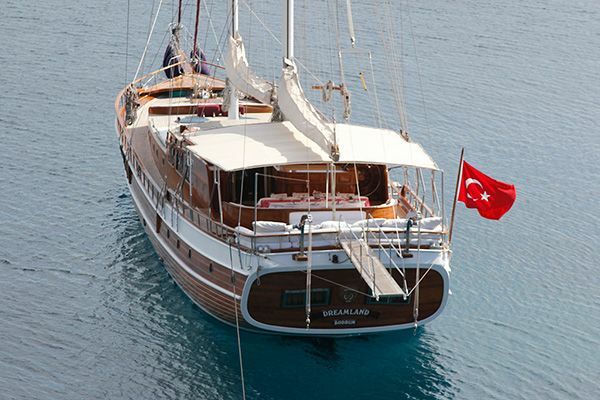 The Sea Dream Deluxe gulet also sports a full sailing rig which can carry guests elegantly across the water for that very special gulet sailing experience across the Aegean. 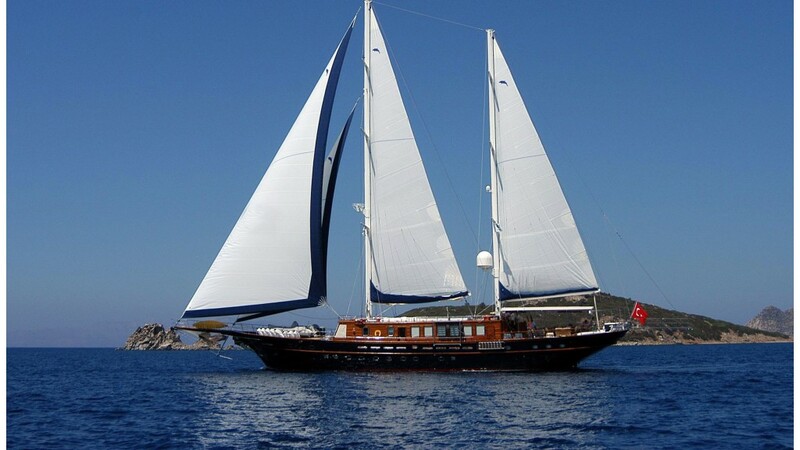 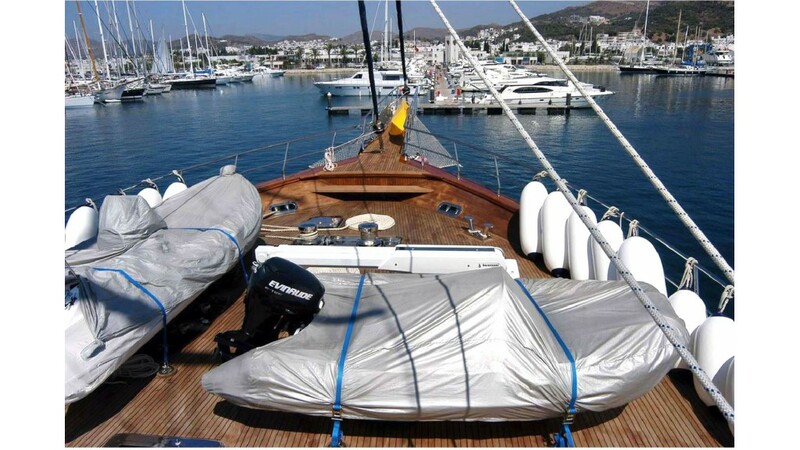 With a very professional and hospitable crew presenting the yacht in immaculate state, and offering attentive and discrete service, guests may be assured of a memorable get-away from it all gulet holiday along the beautiful coasts of the Turquoise Turkish Coast or into the Greek Dodecanese and Cycladic Islands.